an increased awareness of, and confidence in, their individual worth as God’s children, members of their family, and children of the parish. There are two different religious education programs: Catechesis of the Good Shepherd (CGS) and Sacramental Preparation. Classes begin in October and run through early May. The Catechesis of the Good Shepherd is a hands-on approach to the religious formation of our children. It is rooted in the Bible and the liturgy as we celebrate it, and is based on the understanding that each child already has an innate relationship with God. The lessons focus on what is “essential” and driven by the Holy Spirit. St Andrew has been one of a handful of churches in Portland offering CGS for over ten years and has two beautiful atriums, which is where these classes take place. Level I is for ages 3-6 and level II for ages 6-9. This class is traditionally for 2nd graders who are registered members of St. Andrew. 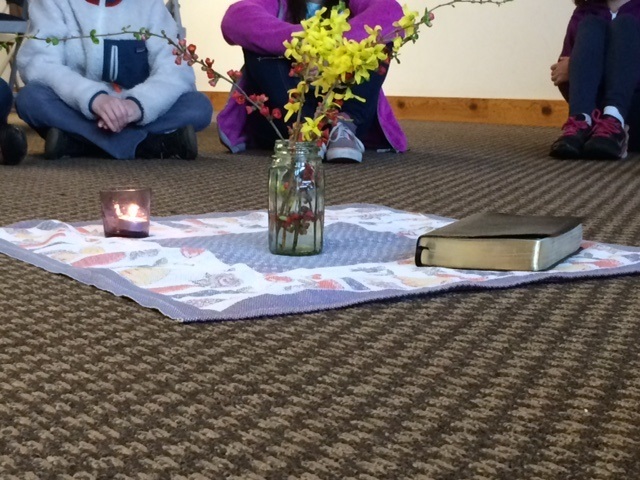 Children learn about Jesus from whom these sacraments come. This class also allows them to deepen their understanding of the sacraments so that they can fully participate in mass.